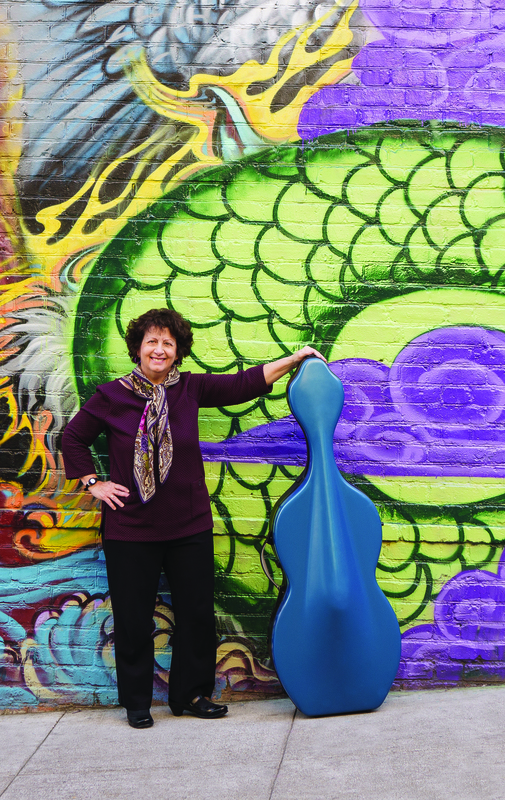 SF Symphony musician Barbara Bogatin says, "when it comes to playing the cello, we're all Buddhists." Bogatin shows how her meditation and music practices intertwine. San Francisco Symphony cellist Barbara Bogatin was introduced to meditation by her (not-yet) husband, Clifford Saron, a neuroscientist who studies the effects of meditation on the brain and well-being. Much of classical music can be very judgmental. But Barbara is able to reconcile that aspect of the field with Buddhist practice. Barbara is dedicated to sharing these insights with others. “Over the years my husband and I, along with two wonderful meditation teachers, Sylvia Boorstein and Nikki Mirghafori, have developed a workshop called ‘The Buddha, the Brain, and Bach,’ which we teach at the Esalen Institute. We talk about the relationship of contemplative practice, music performance, and neuroplasticity, the ability of the brain to change. It’s been so exciting to keep delving deeper into these ideas.” (More information can be found on her website, barbarabogatin.com).